On 15 October, Minister Macfarlane released a discussion paper for the Youth Pilot Programmes, Training for Employment Scholarships and Youth Employment Pathways. The programmes represent a new way of addressing youth unemployment and delivering skilled employees to regional businesses, and are identified as a key plank of the Government’s Industry Innovation and Competitiveness Agenda. Businesses, training providers, community organisations and other groups are being encouraged to provide input. Feedback will inform the final programme guidelines and delivery model. Consultations are open until 14 November 2014. India Skills Mission 2014: Get in quick - conference places still available! This is a unique opportunity to discuss the benefits of an industry-led training system in a global skilled labour market and to break into the vast Indian training sector. GROW Indian networks through supported opportunities and by hearing about successful training models. GOVERNMENT representatives seeking to keep abreast of international skills policy. Register today to receive your official letter of invitation to facilitate your Indian visa. Registration is free and easy for Australian delegates. For more details and to register, visit the conference website. Sydney bakery manager Morgan Clementson and section waiter Jessica Martin will share their skills on the world stage at the 3rd India Australia Skills Conference, Skills For Better Business. The Australian Apprenticeships Ambassadors will be part of the Australian Skills Team taking part in a range of activities including a skills showcase during the conference, held in Mumbai from 10 to 11 November. Morgan (pictured, above left), the 31-year-old bakery manager at Grain Organic Bakery in Sydney, says the opportunity to share her skills and experience will complement her recent Australian Overseas Foundation scholarship. “I can safely say that I made the right choice at 27 to change my career and life by undertaking an Australian Apprenticeship,” Morgan said. Morgan was runner-up in the 2013 Australian Apprentice of the Year category at the Australian Training Awards. Jessica (pictured, above right) will be attending the conference for the second time in two years – continuing an impressive string of recent achievements including a silver medal at the 2013 WorldSkills International Competition in Germany. The 23-year-old works at Sydney’s Rockpool – owned by fellow Australian Apprenticeships Ambassador and celebrity chef Neil Perry. Other members of the Australian Skills Team are Fiona French, 2012 VET Teacher/Trainer of the Year (pictured, above centre), and Joshua Mason, chef and 2014 WorldSkills National Competition gold medalist for Cookery. The conference will also feature addresses by Minister for Industry, the Hon Ian Macfarlane MP, and Chief Executive Officer of WorldSkills Australia, Mark Callaghan. 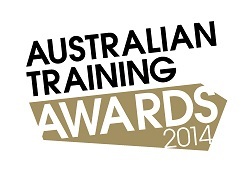 2014 Australian Training Awards – all finalists announced! Eighty one of Australia’s best apprentices, trainees, VET teacher/trainers, vocational students, businesses, schools and registered training organisations that have made an outstanding contribution to skilling Australia have been recognised as finalists for the 2014 Australian Training Awards. The finalists are competing for a national title via a rigorous judging process, with the winners to be announced at the Australian Training Awards presentation dinner event in Adelaide on 21 November. The recipient of the preeminent award of the VET sector, the Lifetime Achievement Award, will also be announced at the event. Profiles of all finalists are now available on the Australian Training Awards website. For more information about the Australian Training Awards, visit the website, phone 13 28 46 or email the Australian Training Awards team. 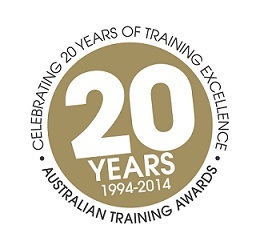 Follow the Australian Training Awards on Twitter @AusTrainAwards and hashtag #ATA2014. USI Registry System activated in October! On 15 October 2014 Minister Macfarlane announced that the Unique Student Identifier (USI) Registry System had been activated to enable training organisations and re-enrolling students to create and verify USIs. The Minister said that millions of Australians can now apply for a USI and look forward to being able to access an online record of their vocational education and training attainments and qualifications throughout their life. Over time this scheme will also make it easier for training providers and Australian businesses to share training information and more efficiently manage their interactions with governments and regulators. By contributing to a more complete and accurate picture of training activity in Australia the USI will help to ensure training delivers the skills that Australian industry needs to boost economic growth, productivity and competitiveness. As part of the Government’s VET Reform agenda the USI will contribute to the continued development of a transparent, flexible, high quality national training system that is responsive to the needs of Australian businesses. Opening access to the USI Registry System now provides an opportunity for training organisations to establish access arrangements for the USI Registry System and bed down business processes prior to formal commencement of the scheme in January 2015. Allowing access now also provides an option for training organisations to complete the USI processes for continuing students and reduce associated workloads in early 2015. Minister Macfarlane’s announcement of the activation follows a series of presentations to raise awareness at major private and public training organisations’ conferences over the last two months. A series of webinars is in progress for training organisations and other key stakeholders. Acting Student Identifiers Registrar, Jason Coutts, is encouraging training organisations to start preparing for the USI now. Activation of the USI Registry System is supported by a new USI website providing comprehensive information for training providers and others users. It includes access to a User Guide, information videos and factsheets which training organisations can use to build awareness and provide guidance for their students and staff. For more information visit the website, call 13 38 73 or send an email. The Australian Government is providing scholarships of up to $5250 to individuals to undertake an approved adult Language, Literacy and Numeracy (LLN) practitioner qualification through the LLN Practitioner Scholarships Programme. LLN practitioners play a vital role working with people to improve their low LLN skills, supporting their transition to further education and/or employment. individuals with prior relevant training, such as generalist school teachers. Indigenous Australians and Australians living in regional and remote areas are strongly encouraged to apply. Applications for Round Five are now open and close on 12 November 2014. Applications are invited from eligible individuals interested in undertaking an approved course in adult LLN, commencing in 2015. To access more information about the LLN Practitioner Scholarships Programme, including programme guidelines and a link to the online application form, please visit the programme's website. Applications must be received by midnight Wednesday 12 November 2014 (AEDT). Read about how Julie Richards is working towards her goal of becoming an adult LLN educator by winning an LLN Practitioner Scholarship. Close to celebrating its third birthday, the Australian Government’s Australian Apprenticeships Ambassadors Programme continues to successfully raise awareness about the benefits of Australian Apprenticeships through sharing the inspiring career journeys of more than 130 Australian Apprenticeships Ambassadors across the nation. The launch of the Australian Apprenticeships Ambassador Column feature, launched by Gold Logie winner Scott Cam (pictured, right), who talked about the important role Australian Apprentices play on The Block. Jessica Taggart and Joel Schwarz representing Australia at the 2nd APEC Youth Skills Camp in China. Melbourne Storm premiership player Bryan Norrie (electrician) and Fiona Lawrie (motor mechanic) appearing on the front cover of June’s The Tradie Magazine. NRL legend Alan Tongue (motor mechanic) being interviewed by SBS News as part of National Skills Week, and speaking in Karratha about the challenges of undertaking an apprenticeship in regional areas. Jessica Martin (section waiter) gaining employment at a restaurant owned by celebrity chef and Australian Apprenticeships Ambassador Neil Perry. Morgan Clementson (baker) and Emma Stevenson (electrician) featuring in The Australian. Business owner and Australian Apprentice of the Year Patrick Janes (metal fabricator) sharing his success story at National Manufacturing Week. Patrick was also interviewed by Win News, was a speaker at the Victorian launch of National Skills Week and featured in the Herald Sun. Rachel Dudok presenting at the Women In Aviation / Aerospace Australia National Summit in Melbourne. Russell Routledge and Rachel Dudok speaking at the national launch of National Skills Week in Brisbane. Warrnambool business owner Clayton Harrington (carpenter) winning a Housing Industry Australia award for a housing renovation over more than 800 entries. Autism teacher assistant Jessica Benge and baker Morgan Clementson receiving Australian Overseas Foundation scholarships. Joshua Toomey (electrical linesworker) appearing in Foxtel’s Who We Are: Brave New Clan documentary during NAIDOC Week. More than 70 000 views of Australian Apprenticeships Ambassador related content including news items, success stories and video content, and growing. Keep an eye out for the new interactive Australian Apprenticeships Ambassadors map, where you will be able to request an Ambassador to speak at your event and give your audience a real-world perspective on Australian Apprenticeships. For more information, keep an eye on the Australian Apprenticeships Ambassador Facebook page and @AusApprentice Twitter account or visit the Australian Apprenticeships website. ‘Foundation skills’ refer to English language, literacy and numeracy skills (e.g., listening, speaking, reading, writing, digital literacy and use of mathematical ideas) and employability skills (e.g., collaboration, problem solving, self-management, and information and communication technology (ICT) skills). Building the capacity of those who deliver foundation skills is a key component of the National Foundation Skills Strategy for Adults. But to do this we need to know more about who is delivering foundation skills. What skills and expertise do you bring with you? What professional development have you had? What skills would you like to develop further? NCVER is conducting a short survey as part of the National Foundation Skills Strategy Project (Element 1). It’s a starting point in learning more about those who are teaching or helping people develop their foundation skills, either in a paid or voluntary capacity. Head to the online survey to participate. If you would like further information about the project, or about what’s involved in the survey, email Michelle Circelli at NCVER. The Australian Council for Educational Research (ACER) is developing the free and comprehensive Foundation Skills Assessment Tool (FSAT) for the Department of Industry. Trials of FSAT have now commenced. ACER has received many expressions of interest in participating in the FSAT trials, which will support it in ensuring that the final assessments will be valid, reliable and fair. However, more participants and learners are still needed to undertake the trial assessments, and new skill areas including Listening and Learning and some Core Skill for Work have just been released. The trials will continue for a few more months, and providers receive reports of their learner's performance. If you are interested in taking part in the trials, please register online. ACER invites contributions for the 4th National Adult Language, Literacy and Numeracy Assessment Conference (NALLNAC) on the theme Equipping for the future: Assess, train, learn. Taking place in Adelaide on 14 and 15 May 2015, the conference addresses key issues surrounding adult and youth literacy and numeracy assessment, teaching and learning. Interested presenters working in adult LLN and foundation skills across all areas of vocational education and training are invited to submit a conference presentation or workshop addressing key issues arising from your teaching and assessment practices, contexts, issues or research. The call for presentations is now open until 12 December 2014. Visit the NALLNAC website for further information. Need support in your role? Join Velg’s VET mentoring programmes! Velg Training is excited to announce the launch of the largest VET mentoring programme in Australia. A recent Velg survey revealed a significant number of respondents would like to be involved in a professional mentoring programme and Velg Training is uniquely placed to provide such a programme to educate, inspire and empower the VET community. A suite of eight programmes is available to support the varying roles within RTOs including managers, administrators and trainers and assessors. Ongoing professional development is vital to maintain skill, knowledge and expertise relevant to the VET sector. These mentoring programmes will allow knowledge to be communicated and built upon over the 2015 calendar year to enhance continuous improvement processes whilst maintaining individual currency. For more information on individual programmes, please visit Velg's website or send an email. Places are limited and this programme is first in, best dressed! The first of a series of companion guides to support delivery and assessment of AgriFood training packages has been released. It is important for training providers to be able to clearly define and identify the foundation skills that are integrated into job tasks described by units of competency so they can be addressed as part of delivery and assessment and give workers the skills to carry out their jobs efficiently and effectively. Using the Australian Core Skills Framework to Address Foundation Skills within Training and Assessment provides tools and tips for mapping AgriFood units of competency against the Australian Core Skills Framework. The guide provides information to trainers, assessors and instructional designers about how to identify the core skills critical to vocational competence within an AgriFood unit. It includes information about the Australian Core Skills Framework (ACSF) mapping project and how trainers and assessors can use that information to support the development of foundation skills within vocational practice. The guide and a number of sample mapping activities can be downloaded from AgriFood's website. A review is currently underway of the MTM11 Australian Meat Industry training package in accordance with the requirement to transition to the National Skills Standards Council (NSSC) Standards for Training Packages. Development work is being undertaken by the National Meat Industry Training Advisory Council Limited (MINTRAC), and the first group of units and qualifications is now available for consultation. Materials available for review include meat processing qualifications from AQF level 2 through to 6, plus higher level agribusiness qualifications and associated units of competency. Consultation materials and further information on the project are available from AgriFood's website. If you would like to receive consultation materials, please email AgriFood. You can also join the online community and sign up to receive MTM training package alerts when new materials are released. CPSISC 2015-16 Environmental Scan - stakeholder survey - win an iPad! CPSISC needs your help as an industry stakeholder in answering key skill and training issues affecting industry participants, with all survey respondents going in the draw to win an iPad! You may pass the survey on to as many colleagues within the industry as you wish. The survey is available through Survey Monkey. Final survey responses are due by cob 21 November 2014. Respondent details must be completed, or you can email CPSISC to register prior to close of business on 22 November 2013 to go in the draw for the iPad. The winner will be notified by email and their details will be published in a future CPSISC newsletter. To become a CPSISC Stakeholder, please register your details online. "Early indicators suggest that we will achieve close to our desired participation rates for this year’s stakeholder survey. CPSISC has endeavoured to solicit a much stronger representation by industry for this year’s survey in addition to the consistently strong participation by public and private RTOs. "The respondents to date, for the main part, represent a wide spectrum of stakeholders within industry with public and private RTOs to date recording approximately 60 per cent of the responses." To contact Grant, please send him an email. The Future Print NWDF project is a joint initiative of the Printing Industries Association of Australia (PIAA) and the Australian Manufacturing Workers’ Union (AMWU), cofunded by print businesses and the Australian Government, from July 2014 to June 2017. Service Skills Australia (SSA) would like to thank the 120 salon owners and employees who participated in the hairdressing industry forums conducted nationally throughout September and October. SSA is appreciative of the valuable feedback and comments received from industry at the forums. In addition, there were over 300 responses to the online survey that informed SSA of the current practices, skills and knowledge needed to work in the hairdressing industry. This information will contribute to a report which will inform updates to the national hairdressing qualifications. For more information, please visit SSA's website or email Lina Robinson. Feedback is now open for the validation draft of the SIS Community Recreation training package components. To review and provide feedback on the content, please visit SSA’s feedback register and access the project titled SIS Community Recreation Training Package Components. Feedback on the validation draft closes Sunday 30 November 2014. The validation draft of the SIS Cross-sector training package components will be open for feedback at the end of October. Please visit the project page for more details. The validation draft of the SIS Fitness training package components will be ready for feedback in November. Additional content consultations have been necessary for specialised areas and as a result the Validation draft has been slightly delayed. SSA plans to leave the draft open for feedback until the end of January to ensure all stakeholders are able to provide comment. Skills@Work congratulates the players of the South Sydney Rabbitohs on their victory in the grand final of the National Rugby League 2014 competition! Did you know that the NRL’s LeagueWise programme encourages all players in the league to prepare for careers off the field through training for, or participating in, their desired industry? With the Australian Government’s Department of Industry, the Trade Up with NRL programme engages mentors across the 15 NRL clubs to help players identify training and career pathways, with particular focus on trades in areas of identified skills shortage. This months’ Faces of Excellence profiles four of the many current and former NRL players who are benefitting from involvement in the VET sector. 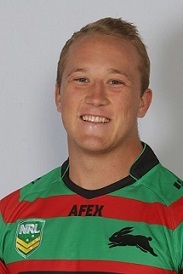 South Sydney Rabbitohs’ 2014 premiership player and Australian Apprenticeships Ambassador Jason Clark’s decision to undertake an Australian Apprenticeship in carpentry was influenced by his love for the outdoors. The 24-year-old completed Year 12 while playing with the Rabbitohs’ junior sides before deciding to prepare for a career after football by undertaking an Australian Apprenticeship. “A carpentry apprenticeship was a natural fit for me as someone who loves being outside and working with their hands,” Jason said. Chris Armit may no longer be playing at ANZ Stadium but his involvement at Sydney Olympic Park continues thanks to his Australian Apprenticeship in turf management. 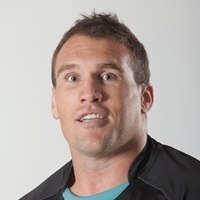 The Australian Apprenticeships Ambassador retired from rugby league in 2012 after a decorated career of 158 games with the Parramatta Eels, Canterbury Bulldogs and the Penrith Panthers. The former-prop is completing a Certificate III in Sports Turf Management with TAFE NSW – Northern Sydney Institute and is a casual member of the ground staff at ANZ Stadium. “Completing an apprenticeship gave me a sense of direction and a career path to follow after playing footy finished,” Chris said. 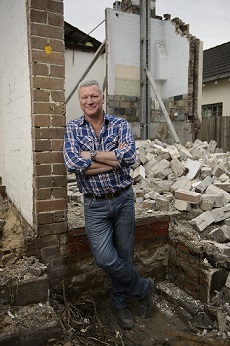 Former Balmain Tigers great Steve Lavers says employing Australian Apprentices can boost profits. 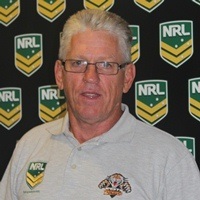 The Australian Apprenticeships Ambassador played 93 matches with Balmain between 1975 and 1982, was a New South Wales representative in 1976 and has been a board member and a director with Wests Tigers. After completing his rugby league career, Steve completed an Australian Apprenticeship to become a qualified electrician and was the owner of Steve Lavers Electrical. “My business was better for employing apprentices,” Steve said. Steve is a member of one of the judging panels for the Australian Training Awards in 2014. With more than 200 first-grade games and try scoring heroics in grand finals, State of Origin and World Club Challenge matches to his name, Anthony Quinn would have been forgiven for thinking completing his Australian Apprenticeship was a low priority. The 30-year-old started his Australian Apprenticeship in 2001 while playing with the Newcastle Knights and continued his trade when he moved to Victoria to play with the Melbourne Storm in 2007. 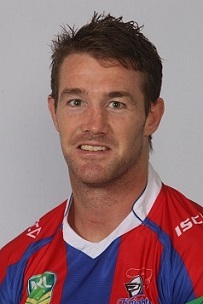 Anthony completed his qualification – a Certificate III in Electrotechnology – some 13 years later, upon his return to the Newcastle Knights in 2013. “Once you have your qualification, you have security, career options and the ability to earn a similar wage to footballers,” the Australian Apprenticeships Ambassador said. The Australian Apprenticeships and Traineeships Information Service's websites provide practical and easy to use resources and information about Australian Apprenticeships. Information sessions are provided regularly to help people get the most out of the Service’s websites, for example by highlighting the huge range of sample job and training descriptions, and the industry based job pathway charts and practice aptitude quizzes available on the Australian Apprenticeships Pathways website. The one hour sessions are provided free of charge. The sessions benefit people in a broad range of job roles including careers advisers and staff involved in the promotion and administration of apprenticeships and traineeships in organisations such as Australian Apprenticeships Centres, registered training organisations, group training organisations and employment services providers. The sessions will be delivered in the following locations, with other cities to be added soon. For more details and to register, please visit the Australian Apprenticeships and Traineeships Information Service's website. The Australian Government’s Department of Education will be conducting training sessions for approved VET FEE-HELP providers throughout 2014. This training is suitable for both recently approved and existing providers wishing to refresh their knowledge. Details and schedules of dates and venues are available on the Department of Education's website. CPSISC is once again holding a round of free e-learning professional development workshops for RTOs in its sector, to demonstrate the latest products and techniques available within the VET sector. The workshops will provide interactive forums to demonstrate and discuss the latest technologies and best practice being used by RTOs to implement training packages in the construction and property services industries. Workshops run from 9.30 am – 4.00 pm. For more information, and to download a registration flyer, visit the CPSISC website. The conference theme of Jobs, Careers and Communities recognises the important contribution that group training makes to individuals and communities across the country. 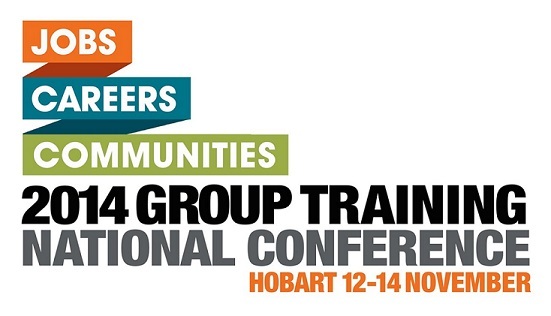 Join the group training network in Hobart to explore and discuss the opportunities and challenges ahead. For programme information and registration, please visit the conference's website. The Australian Training Awards presentation dinner event will be held in Adelaide, South Australia, on Friday 21 November 2014. Registrations are now open through the website. If you would like to provide feedback, supply an article for inclusion in the next edition or join our list of subscribers, please email skillsatwork@industry.gov.au. The next edition will be published in December 2014. Submissions are due by 18 November 2014.